I always love your outfits! They are always beautiful like your photographs. The pictures are amazing, so gorgeous! I really like your shorts. i'm glad you had a wonderful christmas :) i love your fringe vest! 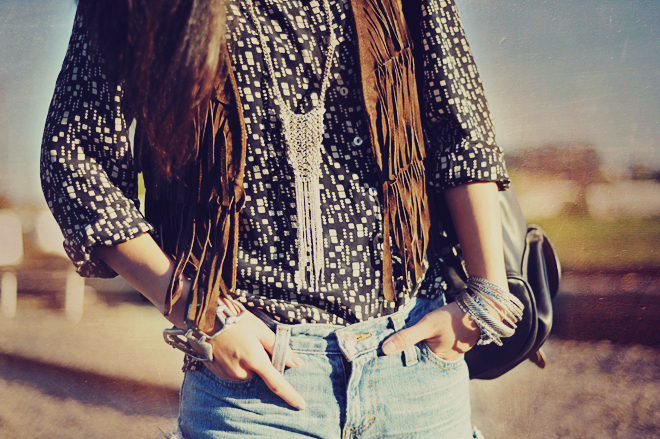 I love this outfit!! You look so pretty. Great photos. 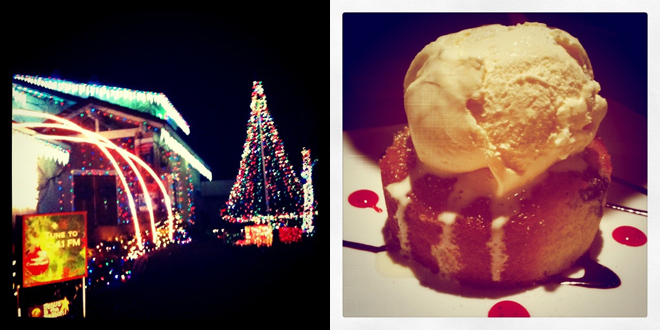 I love your christmas lights picture & the picture of that delicious looking dessert!! and your blog is amazing.. i'm now following you! thankyou for your comment which lead me here! Beautiful pictures and lovely song by The Strokes. you are stunning. love everything about this. Cute outfit and I really like the Christmas-y picture.